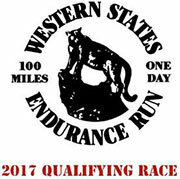 How many 100 mile endurance run are there in this country? How many are point to point? What type of endurance run do runners want to run? Classic point to point endurance run, that goes somewhere, on single track trails. Why aren't there more point to point endurance runs? Classic point to point endurance run are events from another era. As we get more wilderness areas designated in the National Forest System, there isn't enough space to put on this type of race anymore. And they are a lot more work to put on, versus a loop type race.